How Can Small Businesses Compete With Retail Giants on Shipping? Many consumers automatically head to Amazon first when they’re looking to buy something online. Its shipping is reliable and very cheap—and for many people, it’s included in their Prime subscription. How can smaller businesses make inroads in this seemingly impenetrable environment? Experts acknowledge it’s a tricky situation, especially because the bigger retailers tend to enjoy bulk discounts that smaller businesses won’t have access to. One way you can offer your customers free shipping is by folding the price of it into the prices of your products. If adding in the full shipping price isn’t feasible, you could at least add in a few extra dollars here and there to help offset shipping costs. Of course, free shipping isn’t a deal breaker—sometimes a customer wants something that they can’t find on sites like Amazon. If you just can’t take on the shipping costs yourself, offer a flat rate and make it really clear on your website before customers start shopping to avoid cart abandonment later on. Many people will be encouraged to start shopping if they know upfront how much they can expect to pay for shipping. It can also take some of the sting out of shipping price hikes to keep in mind that shipping prices tend to go up for everyone across the board each year, so you might not be losing as much ground to the competition as you think. You could also tackle it from a different angle: cut down on costs to improve shipping affordability. For example, changing up your packaging can have a surprisingly big impact. Look for opportunities to switch boxes out for padded envelopes or poly mailers instead. Don’t use boxes that are even an inch bigger than necessary. By keeping package size and weights to a minimum, the savings can add up significantly over time. It’s also worth exploring getting free packaging from carriers. 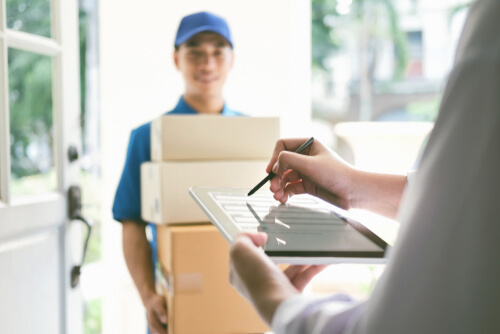 Some, like DHL, UPS, and USPS, do offer free packaging for certain mail classes and sizes, so find out what options are available to you. This blog post was based off an article by Shopify. Read the full article here. It’s 2019. Do you know where your stuff is?